Facebook Watch, the social network’s streaming video platform, is getting its global rollout, just over a year after the service launched in the US. Content will include familiar names as well as original programming and exclusive series. The content lineup includes entertainment, news and sports programs, and aims to position Facebook as a more legitimate competitor to Google’s YouTube platform. 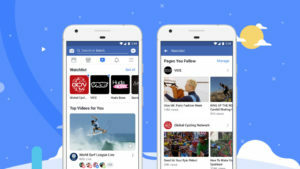 During Facebook Watch’s growth over the past year, the platform has undergone several changes and updates, making it easier to see which videos friends have liked or shared, creating shows that have audience participation at their core, and opening Watch to videos from Pages. According to Fidji Simo, head of video at Facebook, the service has gained real momentum during its release in the US by focusing on watching videos as a social activity. The Ad Breaks program, which enables creators to earn revenues from videos, will be opened up to content generators in the UK, Ireland, Australia and New Zealand from August 30, with more countries set to follow. Creators receive 55 per cent of ad revenue, with Facebook taking 45 per cent. In order to qualify for Ad Breaks, publishers need to have created a three minute video that has generated more than 30,000 views of at least one minute in the past two months, and have 10,000 followers. Facebook is also exploring alternative ways for creators to earn revenues from their content, including subscription models that enable viewers to directly support their favourite broadcasters. “Video is to be an integral part of any brand and social media platforms’ arsenal, and Facebook Watch’s launch is further evidence of just how far companies are pushing live and on-demand video – particularly longer-form content,” said Josh Krichefski, CEO of MediaCom. One Response to "Facebook Watch rolls out globally in bid to take on YouTube"